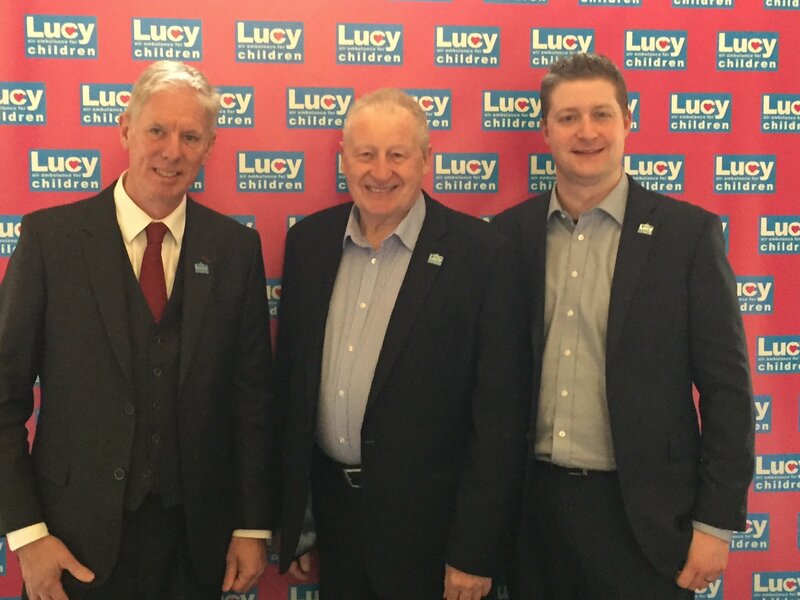 Lucy Air Ambulance is a national charity based in London, but running an important national service for seriously ill children from Exeter Airport to places such as Newcastle, Manchester and Liverpool. Leon & I spent an afternoon with the charity following my keynote speech to an affluent audience in the city of London last Thursday. Held at The London Capital Club right in the heart of the financial district this was Lucy’s inaugural corporate lunch aimed at raising money and awareness for what has been described as one of Britain’s most important small national charities. From September 2017, Lucy will receive no government funding so is entirely reliant on donations to keep its vital service in the air so I make no apology for saying that if you feel able to send them anything whatsoever please do. Any company directors or shareholders reading this might like to think of Lucy when deciding on which charity they might support as their charity of the year. Rarely have I seen a charity that cares so much for the people it helps. An ethical approach to everything runs right through the very small management team. 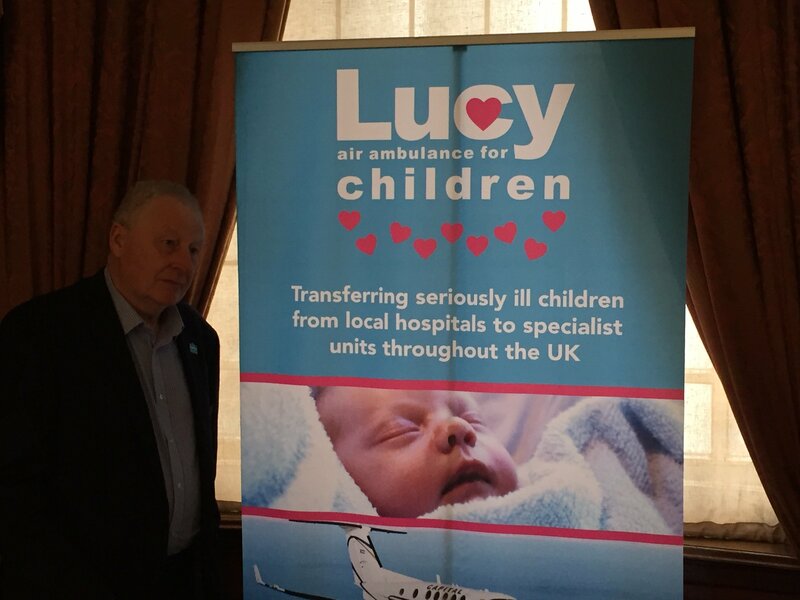 In a wonderful speech, Nicola Cleave who is Lucy Air Ambulance Medical and Family Liason Manager, who travels on every flight with the babies and makes sure their every need is catered for, described her working day in some detail, much to the appreciation of everyone present. The charity exists solely to help babies & children aged between birth & 16, to get the emergency help they need at moments of crisis. Many premature babies are transported to hospitals around the country in a bid to save their lives. Some as small as a bag of sugar. The beauty of fixed wing transport is that it is so stable and so much smoother for a delicate operation such as transporting tiny little babies across hundreds of miles. Working hand in glove with our wonderful NHS, Lucy Air Ambulance is genuinely a life saver. Surely nothing is more precious than a life that has just started. Our young people are our future and, by helping families in this way, this lovely charity and its dedicated team are saving lives and making families happy. I am pleased to be a patron and be considered a small part of such a happy, professional and caring team.